While exploring the world of connected things (a.k.a. 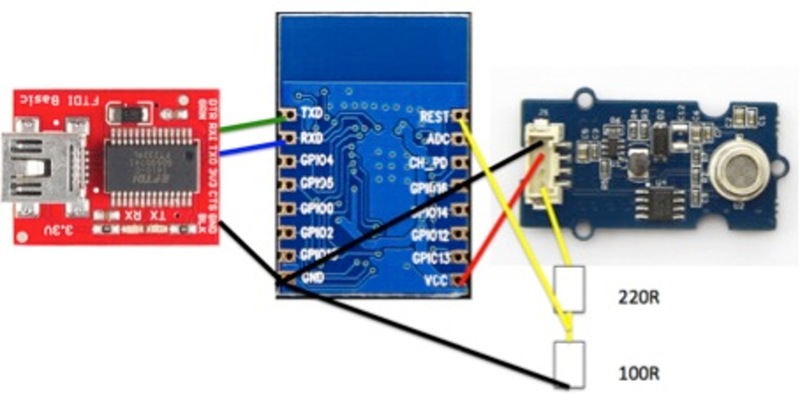 #IoT) the ESP8266 popped up as an new platform for measuring and sensing data - making Things becoming more relevant. SENSable Things are starting to sense our environment, while feeding data to a cloud the question comes up: what should I read out of the values? Besides the software installation of compiler and tools for flashing the ESP8266 there is also the demand of an appropriate FTDI 3.3V wiring to the ESP8266. Frist make sure the GPIO0 is wired to GND to allow acceptance of new firmware. Done - Unwire GPIO0 before the next step.